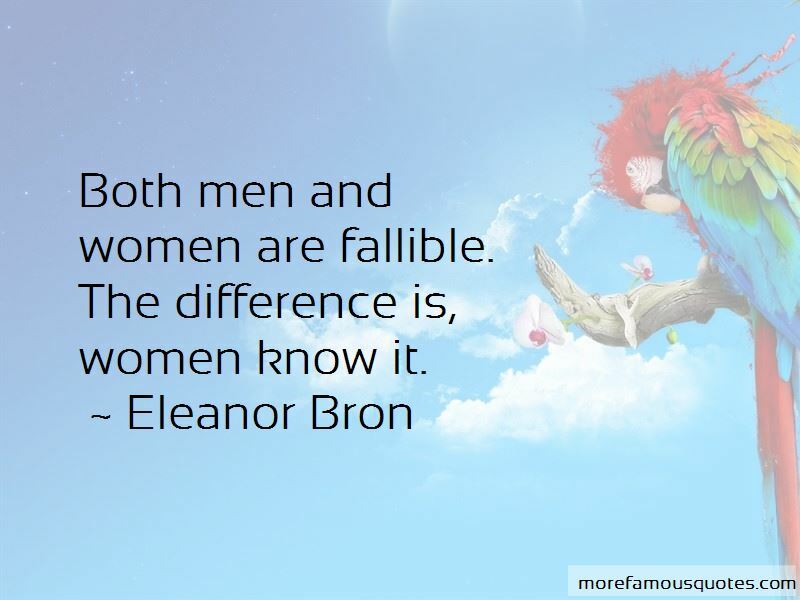 Enjoy the top 3 famous quotes, sayings and quotations by Eleanor Bron. 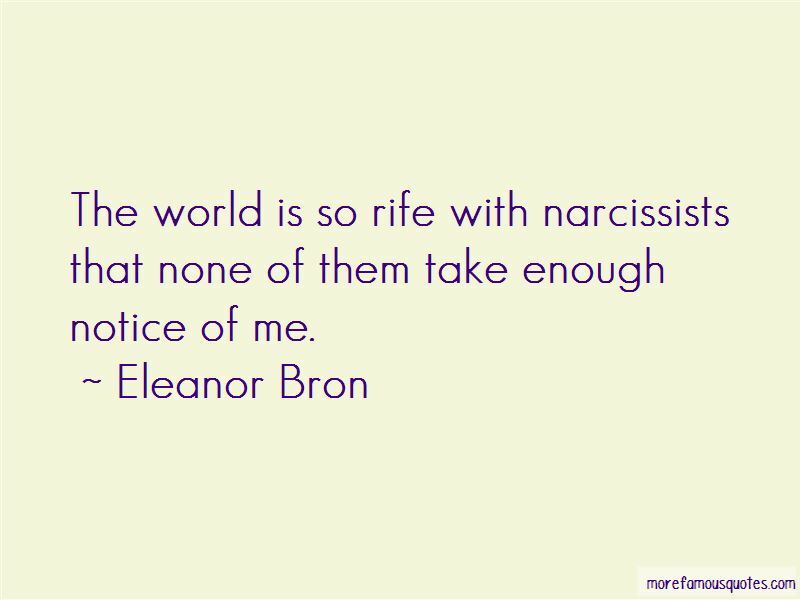 The world is so rife with narcissists that none of them take enough notice of me. 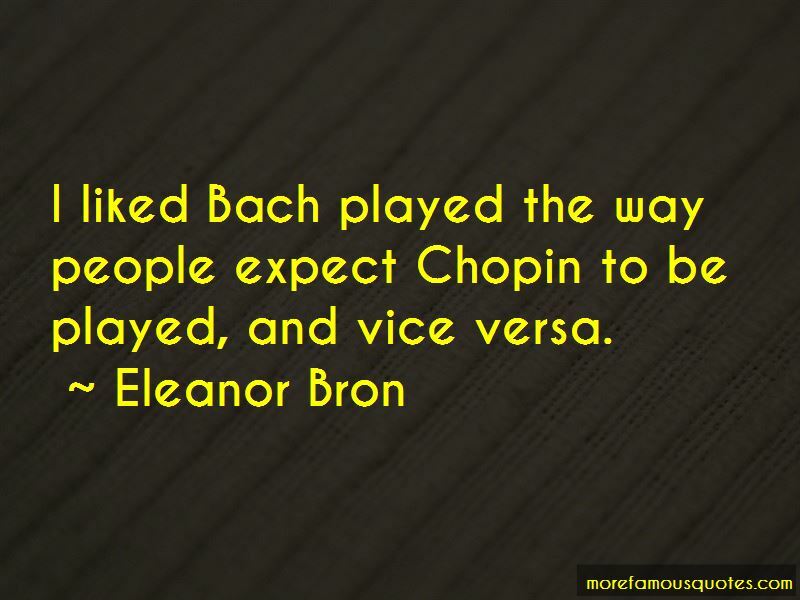 I liked Bach played the way people expect Chopin to be played, and vice versa. Want to see more pictures of Eleanor Bron quotes? Click on image of Eleanor Bron quotes to view full size.